(Natural News) Fast food has an undeniable appeal, despite its unhealthy reputation – it’s convenient, cheap and satisfying, making it attractive on several levels. On the other hand, fast food products are notoriously packed with unhealthy ingredients: highly-processed mystery meats, GMO products, pesticide-laden produce and more. But is it possible to offer a classic fast food menu consisting of burgers, fries and shakes, etc. using all-natural, organic ingredients – and without having to charge exorbitant prices? Benjamin Brittsan and his wife Nicolette are betting on the concept by opening the nation’s first certified-organic drive-thru burger chain, called Nic’s Organic Fast Food. The first restaurant will open in the Rolling Meadows suburb of Chicago this February, with plans to open 50 more Chicago-area locations before launching the chain nationwide – if all goes according to plan. Brittsan stresses that his products are truly certified organic and not merely labeled as such. 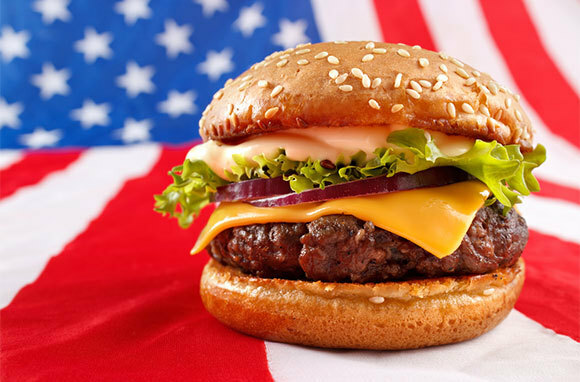 For example, the beef used in Nic’s hamburgers is USDA-certified organic and free of chemicals, antibiotics or hormones. But the all-organic standard extends to everything on the menu at Nic’s, including the chicken nuggets (made from organic white meat), french fries and even the drinks, which include organic juices, sodas and coffees. But don’t expect a lot of low-fat, vegan-leaning menu items at Nic’s. Sure, you can order a fresh green salad or a veggie burger, but the emphasis – as with any fast food restaurant worthy of the name – is on big, greasy beef hamburgers, chicken sandwiches, french fries and sodas. There’s nothing particularly healthy about the BigNic Bacon Burger – two beef patties, two slices of cheese, smoked bacon and all the trimmings – but the important thing, according to Brittsan, is what it doesn’t contain. The prices at Nic’s are around the same as popular burger chains such as In-N-Out Burger or Steak ‘n Shake, with burgers at around $5 and combos for under $8. Whether or not Nic’s can compete with the big fast food chains remains to be seen, but there does seem to be a trend towards fast food that uses fresh, natural ingredients. Meanwhile, sales at McDonald’s and some of the other mega chains are slowing down significantly and part of the reason is that Mickey D’s and others have been so slow in cleaning up their act, in terms of using quality ingredients. There will probably always be a market for greasy cheeseburgers, french fries and milkshakes, but it may no longer be possible to use the most questionable ingredients imaginable and expect the public to buy it – especially when restaurants like Nic’s can offer products that satisfy those fast food cravings without having to poison your body with GMOs, pesticides, hormones, and antibiotics.